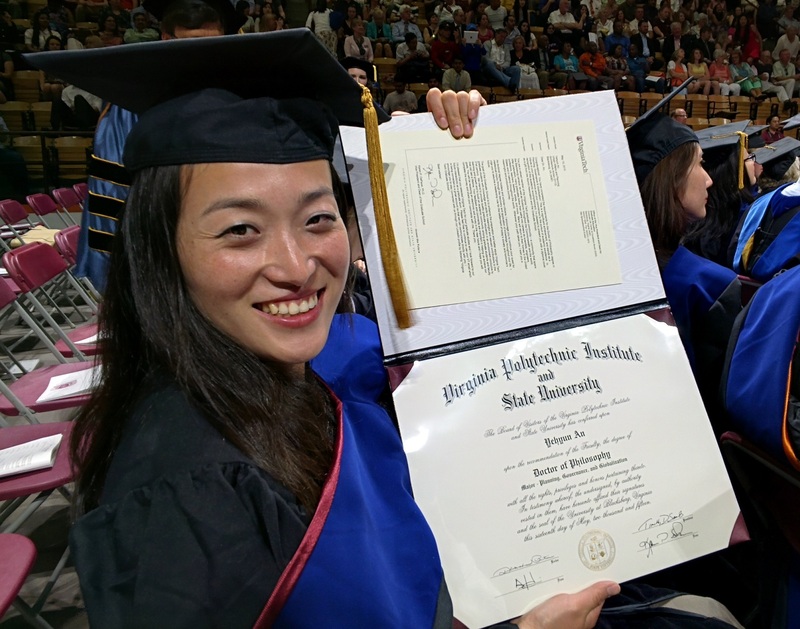 On Friday, May 15, I had the pleasure of hooding Dr. Yehyun (Hannah) An during the 2015 Graduate Commencement Ceremony in Cassell Coliseum. The video below (taken through Google Glass) provides a unique faculty perspective of the event that includes the moment I hood Hannah. This year Prof. Charles Nichols composed Commencement Address, for double brass quintet, for the ceremony that was performed by the Virginia Tech Brass Ensemble (Prof. Jay Crone, Conductor).